RISING COTTON PRICES PREDICTED — HOW IS YOUR STASH? Got bored at home so I went to the only nearby quilt shop I found open. I ran into the new DR Seuss panel and fabrics. Of course I bought some for my grandson. Dr Seuss was my favorite author when I was a kid. I loved, loved, loved, BARTHOLOMEW and the Oobleck. It remains one of my favorite kid books. I have enough of the fabric to make a twin size quilt if I combine if from fabric in my stash. Linda the owner of the shop was nice enough to show me on the internet where I can down load some patterns using the fabric. I did not NEED to buy fabric but hey… my grandson WANTS A NEW QUILT. HE told me so after a lot of prodding. On another note QUILTERS need to get ready for the upcoming price rise in quilting fabrics. 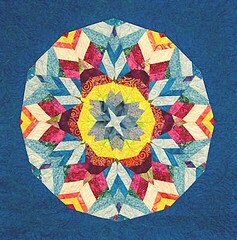 I have heard from several quilt shop owners that the price is expected to sky rocket in the upcoming year. One, cause of upcoming price increases will be the expected rise in gas / shipping cost. The main cause of the expected price rise has something to do with the failure of the cotton crops in various overseas cotton growing countries. Apparently the crop failure was wide spread and serious, so fabric companies have been letting the shops know there will be PRICE INCREASES. Have you ever noticed that prices go up but they never come back down after the crisis is over? I have tons of my favorite BRIGHTS and tone on tones in wild colors. I have a decent stash of batiks. I am good except for backing and background fabrics, since my stash of neutrals took a big hit in my last two projects. Background fabrics are something I usually delay purchasing till I know what project I plan to make. I am planning to increase my stash of white, ecru, and cream fabrics in the next couple of weeks as long as the prices are reasonable. I usually get half to full yard cuts. I have rarely made quilts with all the same background fabric. I like the totally scrappy look of mix and match backgrounds. Since I took the oath to finish at least half of my UFOs THIS YEAR OF 2011, I am pretty much set for fabric…..
How is your stash looking? She is posting her class schedule at Elaine’s Quilty Shop here. I bet she can not resist blogging too! This is the pattern for the tulip block. Since I rarely paper piece I was wondering how fast I could make the blocks so I have been timing myself as I sew. So far I have sewn for two hours on four blocks. ( see the pictures) The blocks are a little more than half finished. I only had to rip out one patch as I accidentally cut off one of my patches when I was trimming the block. 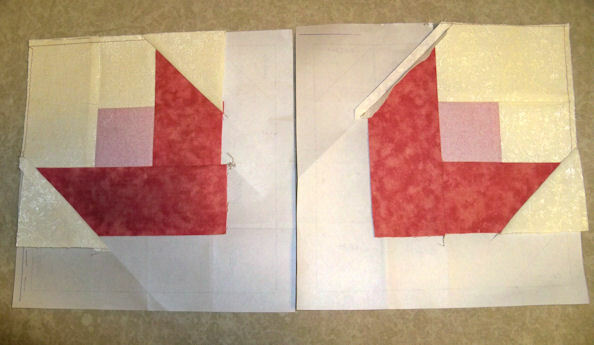 I found piecing the triangular units a bit more difficult as I kept getting the fabric shifted so that it did not line up as nicely as they should have. I was able to get the complete coverage of the p.p. template but a couple of the patches seemed to buckle when I pressed. I have not figured out why yet. If anyone knows, please, clue me in. While making the blocks I realized I have acquired several bad habits. I am pretty good about pinning and lining up my fabric so that it covers the paper pattern correctly. (After a lot of trial and error the patches got better.) I press religiously as I sew. I even began trimming my fabrics as I go along as shown by Carol Doaks. I, however, find I cannot break the habit of back stitching when I start and stop my blocks…. TOO MANY YEARS spent making clothing and drapes. I have a psychological need to make sure my seam stays sewn and does not come apart. So I find myself back stitching. 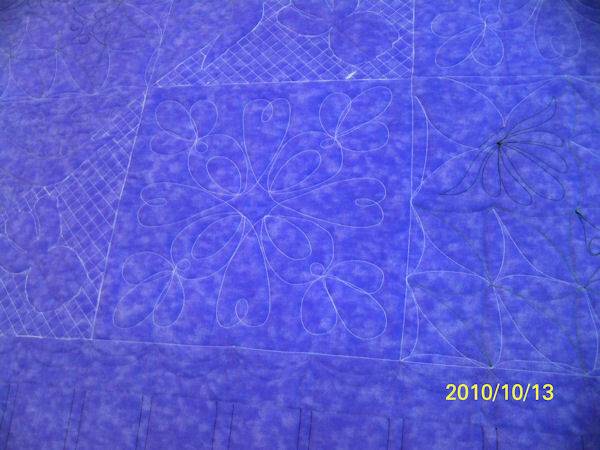 When I do this in my regular piecing I sew off the seam allowance so it does not seem to affect the block. But if you back stitch in paper piecing you end up with a lumpy seam that can affect how the fabric lays down. ( I tried to take a picture so you could visualize what I was talking about but it would not show up on my pictures.) No amount of foundation can cure the situation of a lumpy seam. I did talk to one of the guild members tonight who said she always back stitches at the beginning and end of her piecing because that was the way she was taught. What do YOU ALL think? Are you a back stitcher or not? Carol Doaks said teaspoon… tsp by that she meant …. TRIM after each section to get a quarter inch seam so you could ….I fold the paper pattern back on itself to keep it out of the way. Believe me cutting it the pattern or worse the block off a couple of times teaches you to be a LITTLE MORE CAREFUL. SEW your next patch on to your block accurately. The trimmed seams allow your patches to line up nicely. 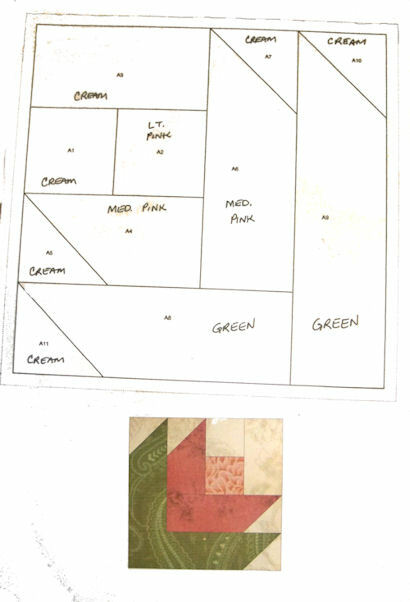 I use the ADD A QUARTER RULER popular for paper piecing projects. I also have an ADD AN EIGHTH RULER for a project I started in miniature. Both work great. PRESS your block before you go to the next patch. Pressing keeps your block flat and pristine. It set up the block for the next patch. I use to try finger pressing using my finger nail but I was never happy with the results and I tended to get puckers. I also had a wood iron but it tended to disappear in the sewing area… an ironing board and iron are harder to misplace. I got the small clover iron and the small flat craft iron as a Christmas gifts so I am going to try using them. Center Medallion 8 Irises with 12 additional Irises on the first boarder. 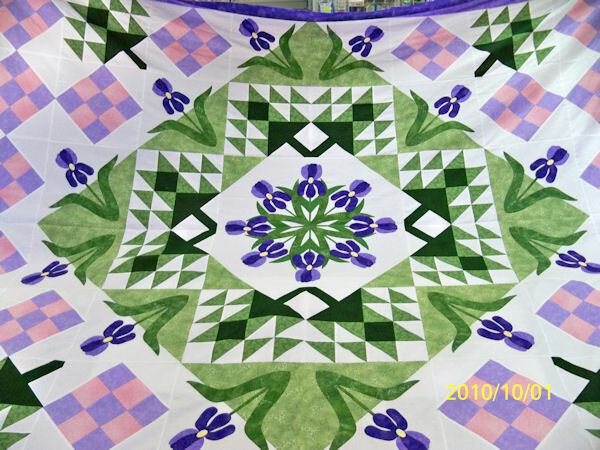 <This quilt was made by my friend and quilt teacher Kay. She made it for her mother it took two years to hand applique the 20 Irises in the medallion and borders. She had originally started it for her mother’s 75th birthday, but it did not get completed until this year. Kay gave me permission to share it on my blog since she does not have a blog of her own. 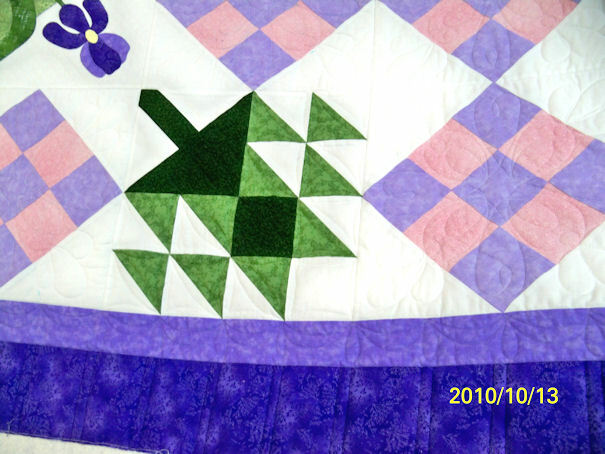 I think this quilt is a tribute to persistence. The pattern was found in an old Quilter’s Newsletter. I have been playing all day trying to get my pod-cast loaded to i Tunes, but now POD-BEAM IS DOWN so who knows when I will be able to work on it again. I do not plan to try till after Christmas holidays. I want to wish you a happy Holiday as I do not plan to post until 1/ after the holidays and 2/ I have some quilty news to report. 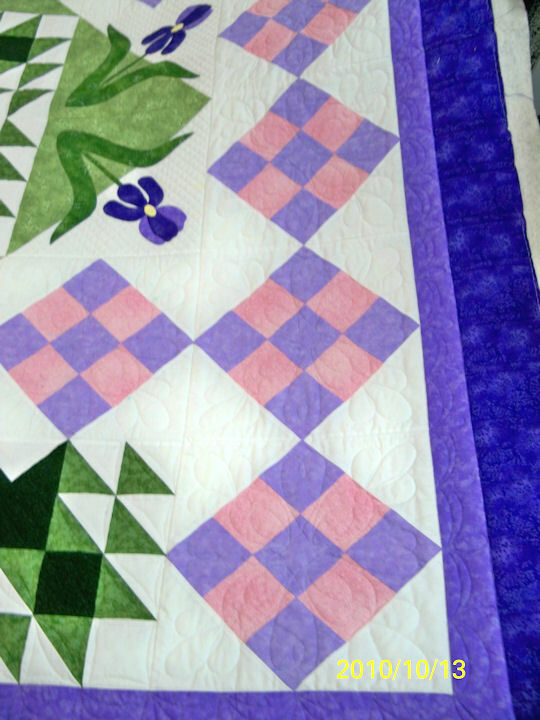 WEEKEND QUILTS by Judy Laquidara, was the book I reviewed on my podcast. I really liked this book. The quilts were nice. I liked the way the patterns were organized. She breaks the patterns down into what can get done the first hour, the second hour, the third etc. The recipes in the book were pretty good to. It is my theory that MODA IS TAKING OVER THE QUILTING WORLD. I say this because every shop I have gone into has MODA! MODA layer cakes, jelly rolls, charm packs, turnovers…. All MODA! Even on the pod-casts there is always talk about Moda fabrics being used. Do not get me wrong I like a lot of the MODA fabrics…. But the results of this take over is the lack of diversity and selection at my favorite quilt shop. All the shops are carrying the same fabrics so the selection becomes limited, the only difference is price. Even then it usually is not that much of a difference to warrant going to a different store to buy a fabric for a few pennies less. So far, of the 4 of the 5 shops within a half hour drive from my home they are all carrying MODA. Most of them carrying the same fabric even though I know there must have been other collections available. I wish they would get together throw the names of the fabric collection in a hat and have a drawing so they all carry different collections. I KNOW THAT IS NOT GOING TO HAPPEN. What is the cause of this phenomenon? I asked a quilt shop insider, a friend (What a good friend, she always gives me heads up on sales.) who works in a quilt shop about this MODA TREND. She says it has to do with the free shipping that comes when you place a big order. As for the sameness of the fabric, it is usually the newest lines and those can be limited. (I personally do not see how since last year there over 40,000 different fabrics were produced. Again, info from my friend.) My friend also thinks that most of the quilt shop owners in the area are trying to predict and meet their customers needs and taste. Most shops reflect the tastes and liking of the owner but with the shaky economy they are going with the fabrics with a best seller track record. This is why I think MODA IS TAKING OVER THE QUILTING WORLD. Loaded to iTunes…….. I think! I spent most of the day trying to connect to iTunes. I think I got it but I won’t know for a while because apparently iTunes has to approve the content. That kind of makes me laugh cause have your heard the lyrics in some of the songs that are published now a-days? I used two computers to get everything uploaded. On my lap top I pulled up the FAQs instructions on PodBean. I did the actual work on my desktop computer. I worked through it step by step. I am hoping you will let me know if it loads to iTunes. You should be able to get it by next week. I took the plunge and now have a podcast site at PodBean. I went with Pod Bean due to recommendations of other podcasters. If you get a chance come over and see some of the projects I am working on. I do have limited space on Podbean, at this time so I am going to continue bloggin on both my sites. I hope you can enjoy my efforts, but I am going to warn everone now….. I AM A LOUSY PUBLIC SPEAKER.